Miray International is currently providing two accommodation vessels, a ferry and a cruise ship, for 37 days and managing housing for 2,000 workers as well as meals and entertainment for up to 4,000 workers that are taking part in a major drydocking project in Cadiz, Spain. 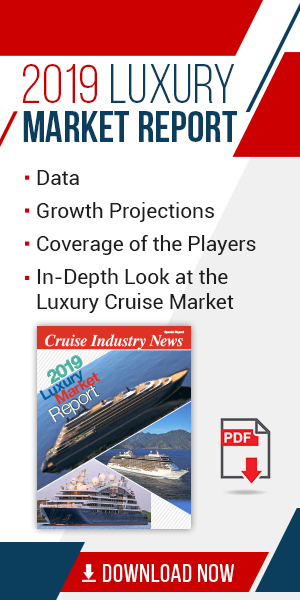 The Turkish company is specializing in floating hotel operations, usually for drydocks, but also runs the hotel and crew operation on a seasonal Turkish cruise program. With drydock projects quickly growing in scale, the number of people involved and work scope often means the crew cannot stay onboard the ship they are working on. Cruise lines and yards then need to consider hotels, food, entertainment and even transportation back and forth to the drydock for thousands of workers. “Our company can offer the same hotel services and more, by providing vessels to berth alongside the drydocked vessel within the shipyard,” said Vedat Ugurlu, general manager. Miray finds hotel accommodation vessels, up to three at a time, and generally provides three hot meals per day, or more depending on work schedules, as well as hotel, entertainment and beverage services. There is also daily housekeeping. Accommodation vessels also offer public spaces, allowing more space for meetings for contractors and cruise line representatives. “The cost per person to house the individuals on a ferry is much less than housing the individuals in town at a hotel where transportation is required to get the workers to/from the hotels to the shipyard,” added Ugurlu. The company also has an innovative and proprietary electronic wristband, and can track who is on or off vessels at anytime. The wristbands also work as a virtual wallet of sorts, allowing beverage purchases, for instance.